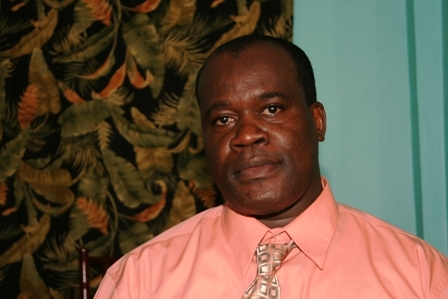 NIA-CHARLESTOWN NEVIS (February 15, 2011) — Police Constable No. 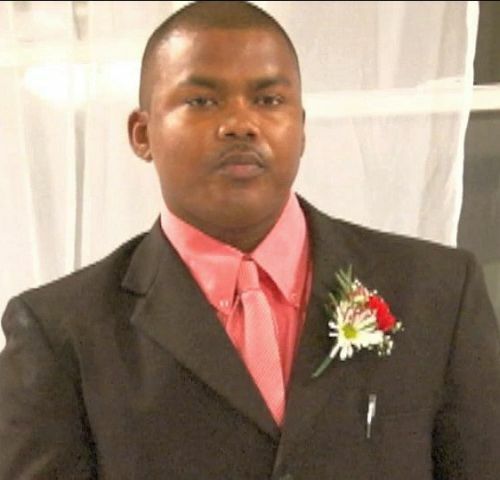 660 Antonio Browne, a recruit from the Commonwealth of Dominica, was named Best Constable of the Year in 2010 in the Royal St. Christopher and Nevis Police Force Nevis Division. He was awarded the top prize from a field of nine other officers from various units within the Division. They had been nominated by their superiors for the position at the 8th annual Police Constable Awards Ceremony 2011. The event was hosted by the Strategic Planning Group of the Nevis Division, under the chairmanship of Inspector Andre Mitchell on February 15th at the Occasions Conference Centre at Pinneys. In his response Constable Browne who comes from the Commonwealth of Dominica was one of several recruits from islands in the region said he was privileged and honoured on his selection as best Constable of the year 2010 and thanked his family and friends who encouraged him in his young policing career. “I would like to thank Corporal Michael Hobson for having the confidence in me and nominating me for this prestigious award, also Inspector Mitchell who has been pushing me to do better in my short comings and can count on me anytime. To Sergeant Bertie for teaching me and advising me about presentation of case files and for whatever assistance you’ve provided. I know I will be a better Police Officer in the Division. “I must give thanks to the Police Strategic Group and the Nevis Island Administration for its continued support and making tonight possible. My fellow officers I thank you for giving me the support and motivation to do the best and also to be the best I can be. We know fellow officers, that this not a competition but recognition of our hard work, dedication and commitment in trying to prevent criminal activities in St. Kitts and Nevis,” he said. Constable Browne acknowledged that though they all had shortcomings it should not be their downfall but a learning experience. He recognised Inspector Brandy’s leadership as excellent and a role model of that a police officer should be. He described his superior as one who always showed concern for what went on in the working environment. The Top Constable pledged to give his continued dedication to duty as he urged the community’s support in the fight against crime. “I will continue to work hard and I always do and do it to the best of my ability. To my colleagues, I encourage you to do the best that you can do and don’t let tonight deter you from performing your duties that are expected of you. “One hand cannot clap. It takes two to make sweet sound and with more hands joining together the more powerful the sound would be. What I am trying to say [is] we the members of the Royal St. Christopher and Nevis Police Force cannot prevent or detect all the crimes on our own. We need the help of the community and with your assistance; we the Police would be able to achieve more. As the saying goes ‘Together everyone achieves more’. This will enable our theme ‘Safer Communities through Partnership’,” he said. In conclusion, he thanked Sergeant Hazel, who he said taught him the traffic rules and laws since he was posted at the Traffic Department. He said he was aware however that there was much more to be learnt and did not hesitate to remind motorists to wear their seat belts. “Do wear your seatbelts and buckle up you are expected home,” he said. Meantime, Inspector Michell in remarks said that as a Group they had entered the last year of their policing plan under the theme “Safer Communities through Partnership”. The plan had been put in motion two years before, as officers of the Division sought to work closely with members of the communities, civil groups and other public sector agencies in their quest to rid the society of criminal behaviour. He said the fact that these were challenging times had become clear as gang related activities raised its ugly head in early 2010. “In fact the first 10 days we recorded two murders; three in six weeks and by the end of the first quarter there were four. This was a stark contrast to the previous year, where a total of three murders were committed. The breakers on the other hand sought to ‘stamp’ their authority by violating people’s homes,” he said. The Inspector said there had to be a commensurate response and the Strategic Planning Group of the Nevis Division went to work. Numerous operations were conducted and so to were intense consultations and engagement with stakeholders, with a view to collectively disrupt and minimise criminal activities. “The success of partnership was realised as information flowed and views and ideas were garnered. Persons were arrested, gang related criminal activities were reduced to a minimum and breakers received custodial sentences,” he said. The Senior Police Officer had gratitude for fellow members of the Nevis Division and partners for their commitment and service to the populace but made special mention of the awardees. “In the same vein, I would like to thank and extend best wishes to the awardees. Indeed your performance has been exemplary and deserving of due recognition,” he said. Notwithstanding, Inspector Michell said the officers of the Division would continue to pursue with vigour and in so doing embrace the popular notion that together everyone achieves more. He registered his confidence that through continued training and the creation of a climate of personal responsibility and accountability, the Police would prevail over the seemingly intractable phenomenon of crime and violence.